Horrorcore rappers Violent J and Shaggy 2 Dope, better known as the Insane Clown Posse, brought the heat to Austin, Texas. 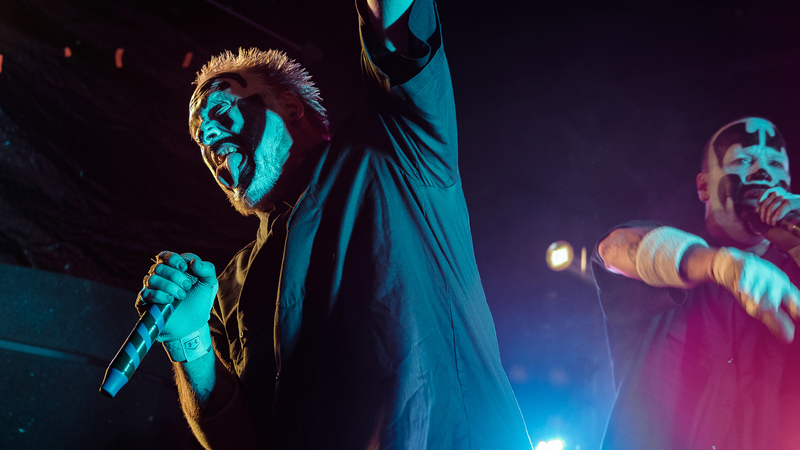 With a career spanning over 20 years, the Michigan-based duo have amassed an extremely loyal fan base–or “juggalos”, as the duo refers to them. Between the face paint, intense lyrical content, and a group of devoted followers, each show is in your face, and usually comes with cans of Faygo soda being sprayed in the air and everyone showing up decked out in the same Juggalo attire. The “Hokus Pokus” performers have a large discography and are expecting another record to drop in 2017. For now, you can catch the duo at their very own Insane Clown Posse Big Ballas Christmas Party, where you can find tickets to attend here.